This entry was posted in Seeds, Vegetables and tagged container gardening, heirloom seeds, seed catalogs, seeds, tomato, tomato transplants, tomatoes, urban gardening. Bookmark the permalink. make a caprese salad for us. Heirlooms are sublime. Aunt Judy, hope you do! 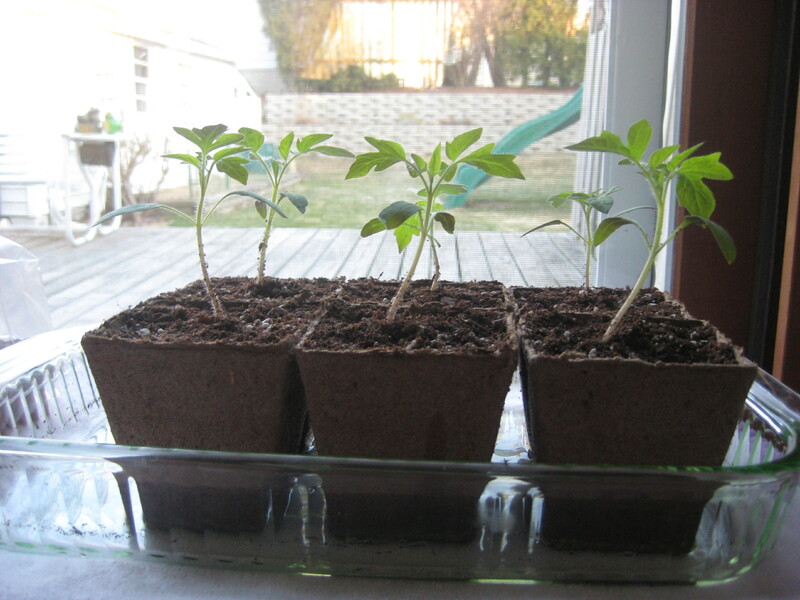 Ok…so reading your blog has got Jess and I in panic mode…we haven’t even thought of what we wanted to plant or where to get seeds…so on and so forth….on our walk today we decided we wanted to plant the following: tomatoes (canning), jalapenos, peppers, and possibly spinach. Is this a reasonable list of veggies for a bunch of beginners. Patrick is going to build raised beds around the deck. Any suggestions?? What? You don’t have your entire garden planned already? Oh wait, that’s because you’re not a nut like me! No worries, there is plenty of time and it’s not as involved as I make it. Your list sounds great and it’s stuff you will eat and like so that’s the most important. Spinach is direct seeded so you don’t even have to think about that until late spring. Tomatoes and peppers are easy to start inside or if you want to simplify things you can buy plants at the store or just get them from me or Uncle Pete. I think your garden will be great, and it’s going to be so fun for the kids to watch things grow. So chill, it’s only January–the month that gardening freaks pretend they need to be thinking about gardening.